“How many gentle flowers grow in an English Country Garden?” asks the lyrics of the old Morris dancing song. Today the answer is undoubtedly more than almost one hundred years ago when Australian composer Percy Grainger famously arranged this well-known tune for piano in 1918. Daffodils, hollyhocks, roses and fox gloves have made way for alpine mosses, alliums, sun flowers and lilies in English designer gardens – modern day gardeners are forsaking tradition for exotics from Asia, Europe and South America. To mark the 300th anniversary of prominent historical gardener Lancelot ‘Capability’ Brown, the UK is this year celebrating the Year of the English Garden. The programme seeks to spotlight and celebrate the country’s fabulous gardens, using events to inspire people during 2016. Capability Brown was a garden designer whose vision for the future has influenced the landscapes of hundreds of English Country estates. Brown cut his teeth at Stowe, then owned by Lord Cobham – now a leading public school where the gardens are still open to the public to be enjoyed. 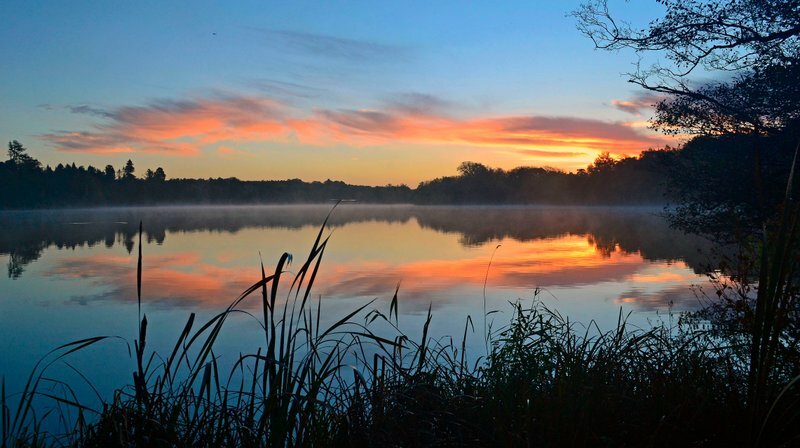 Over the years he designed over 170 parks, many of which can still be seen today. Indeed garden design is in vogue as much today as it was in the mid 1700’s, although gathering exotic plants and well established trees is an easier accomplishment now. 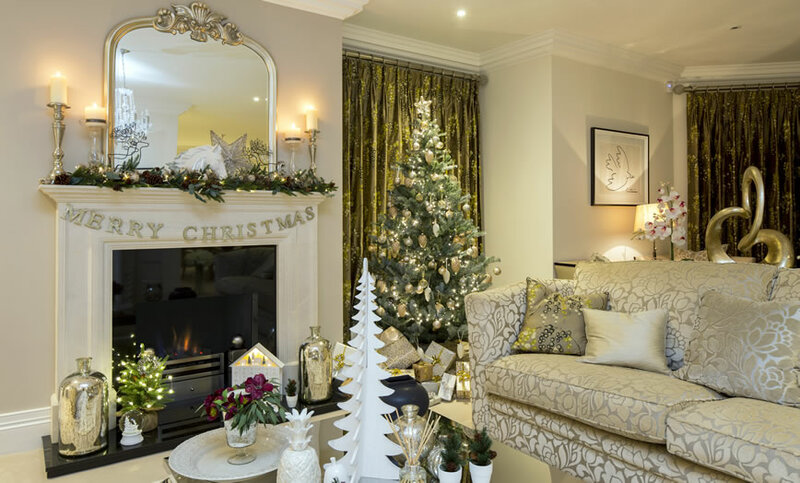 Prime Surrey Estate Agency, Barton Wyatt are regularly involved in offering advice to landlords, tenants, buyers and sellers when it comes to the foliage in their garden. Barton Wyatt is situated in the heart of the millionaire’s paradise, Virginia Water and the Wentworth Estate. Drive around this estate during any daylight hour and most homes will have gardener’s vans on the drive whilst the steady hum of a leaf blower pervades the air. Capability Brown was no stranger to Surrey working on the magnificent gardens of Kew, Hampton Court, Claremont and Clandon Park to name a few. “We are blessed in the vicinity with some wonderful gardens to visit. The Savill Garden is part of the Royal Landscape and is just moments from Virginia Water. Here gardens and woodland can be enjoyed by everyone, from dedicated horticulturalists to families wanting to enjoy someone else’s green fingers. And a couple of miles further afield is Great Fosters where the garden is designed to replicate the intricate beauty of a Persian rug. In the summer fragrant beds of flowers and herbs are bordered by manicured hedges and topiary. “Homeowners like to introduce some of these green fingered ideas into their gardens and we are able to put our clients in touch with some visionary gardeners in the locality. Many of the homes we sell are newly built and developers must work hard to create something that doesn’t look too barren and new. “An unloved garden will do nothing to help sell your home or get a tenant in situ quickly. Smart homes with manicured gardens sell 10 times quicker than a garden that has been left to run riot. Indeed, we do not accept houses for rental that have not had their gardens attended too – it would be a waste of everyone’s time. And once a tenant is living in a rental home we can arrange for a gardener to come weekly to keep it in shape. Image is taken from Visit England. Sunningdale is a quiet, refined village which sits in the gentile county of Berkshire. The village butts up to other highly popular communities such as Ascot and Virginia Water, both known as millionaire hideouts, attracting wealth and affording residents an easy commute into London coupled with a peaceful lifestyle. Large areas of wood and heathland hide glorious mansions, which can be glimpsed at behind ornate gates with meandering drives. It’s hardly surprising that Sunningdale warranted a place in The Daily Telegraph’s London’s super suburbs: the most valuable property markets report. Aside from its roster of notable celebrity residents which have included Richard Beckinsale, Sir Cliff Richard, Gary Lineker, Chesney Hawkes, Brian Blessed, Diana Dors, Billy Ocean and even the late, great Agatha Christie, Sunningdale is well known for golf. The highly respected Sunningdale Golf Club has hosted numerous major competitions over the years including the Men’s European Open, the Women’s British Open and several qualifying rounds. Some say that the course is equal to, if not better than, the courses at mighty Wentworth just a few miles away. Situated only 13 miles from Heathrow international airport and affording fabulous motorway links to the rest of the country and direct rail access to Central London in just over 50 minutes, Sunningdale is the ideal location for commuters both into the capital and overseas. 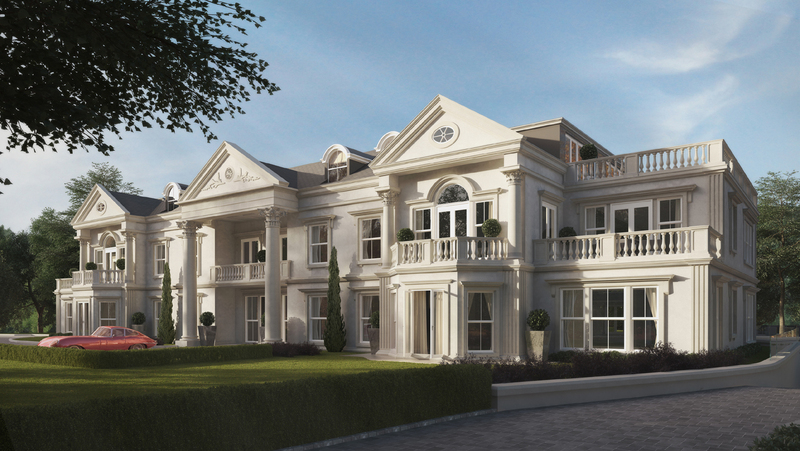 A-list worthy mansions might be the norm in Sunningdale but for savvy buyers looking for something different, local developer, Halebourne Group have created The Ridge. This mansion block sits in the very heart of Sunningdale and comprises ten luxury apartments that have been created to inspire and take your breath away. “Buyers looking for a pied a terre need look no further. 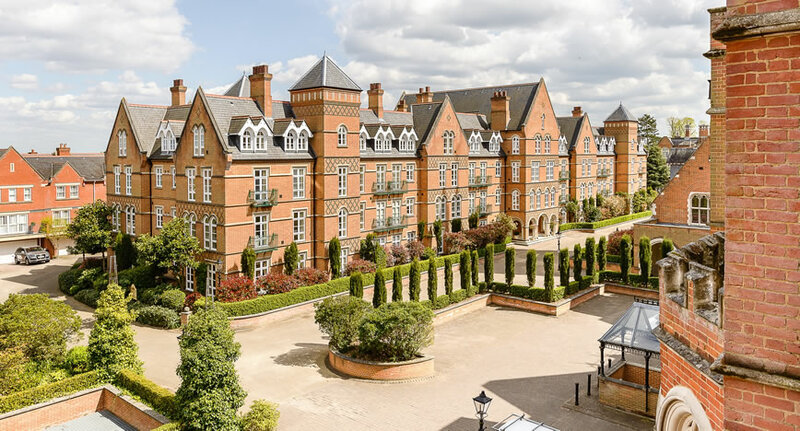 This impressive mansion block sits on one of Sunningdale’s most prestigious roads and we are already getting a great deal of interest in these luxury apartments. As you arrive into the development the entrance hall oozes class and sophistication and here owners will have the benefit of a concierge to help with deliveries and reservations. The apartments range from 2,314 sq ft to 3,606 sq ft with each accommodating sumptuous living space and private outside terracing. There is a choice of two and three bedroom apartments all with en-suite bathrooms and high spec kitchens. A lift services all floors and the basement has parking for two vehicles per apartment as well as generous secure storage. “The Ridge presents the perfect property for several buyer groups. The luxury and detail of the development will appeal to buyers who are used to a five-star lifestyle and enjoy easy living. 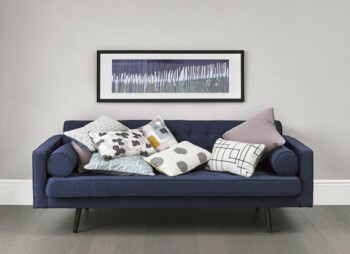 The sumptuous interiors have been designed to feel like home and with ease of living in mind, The Ridge is within walking distance to the mainline station with direct trains to London Waterloo in under an hour. For those with busy lives and little time for cooking, Sunningdale is flushed with many great restaurants just a short walk from the development. The luxurious show apartment is available to view by appointment from March 2016 with apartments ranging from £2,000,000 up £2.95 million for the penthouses. For more information contact Barton Wyatt on 01344 843 000 or visit www.bartonwyatt.co.uk. Home is where the heart is. Perfect Valentine’s Day pads in seductive Surrey! Whether you rent or own a property, for the majority of people “home” is their sanctuary and the place they feel at peace, however grand or humble. With its sleek lines and imposing frontage, March House is designed to be a brand new ‘super home’ located on a prime 1.1 acre plot in the world famous St George’s Hill gated estate in Weybridge, Surrey. 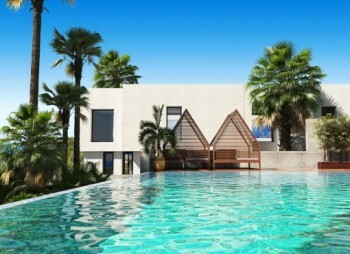 This truly spectacular property would offer stunning accommodation and is of a contemporary Mediterranean style that conveys a sense of peace, calm and tranquillity. A home designed not just for entertaining but also for the family, March House blends both of these qualities into an intoxicating mix of elegance and style that is bound to tantalise the senses for love. 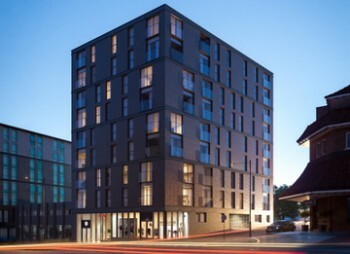 Wonderful living accommodation will be provided by three spacious reception rooms, a magnificent kitchen/breakfast/dining area, cinema room and five sumptuous bedroom suites. Key features will include a bespoke wine wall considered and built by award-winning furniture designer Ed Johnson and a spectacular two storey entertaining space 6 metres high. With leisure facilities including a heated swimming pool, Jacuzzi and gymnasium, as well as a mature landscaped garden with large terrace to the rear finished in Portland stone, March House will truly be a heart stopper. Searching for something a little more traditional for your Valentine’s setting? Then look no further than classically styled Long Ridge. This imposing house is situated in the very heart of the exclusive Wentworth Estate. A superb two storey family home set in gardens of one acre with a delightful heated swimming pool. Magnificent reception rooms and a refitted kitchen/breakfast room make Long Ridge perfect for easy family living. Upstairs boasts five en-suite bedrooms plus a luxury annexe with one bedroom that would suit a nanny, granny or just for guest use. A large loft also offers buyers potential for additional space (subject to planning). Long Ridge underwent a full renovation in 2012, which included air conditioning to the master bedroom, CCTV alarm system and new doors and windows throughout the main house. The gated swimming pool has an electrically operated blind and pool cover and there is a large patio for entertaining. The pool house has been completely renovated and includes underfloor heating, a kitchen and shower room for those steamier moments! Longbourn is a light and spacious home with an excellent flow of accommodation ideally suited to contemporary family living and entertaining. Upstairs, the five bedrooms all have en-suite bathrooms with the master boasting a fantastic vaulted ceiling and balcony overlooking the rear gardens. There is a small basement and impressive wine cellar, perfect for storing those vintage bottles ready for Valentine’s night. Over the triple garage is a delightful one bedroom staff/au pair annexe. The house sits in the middle of the 1.5 acre gardens, which are immaculately tended and well stocked. High hedges and mature trees give complete privacy from the adjoining properties. Across the rear of the house is a large expanse of terrace, which leads to the outdoor pool area, carefully positioned to catch the afternoon and evening sun. There is also a large tennis/sports court with an all weather synthetic grass surface. The rear boundary borders the 15th fairway of the championship West Course, a truly beautiful outlook. Badgers Hill is a unique and superbly presented home with adaptable accommodation set over two floors incorporating a magnificent indoor swimming pool complex amounting to 5,680 sqft in all. The property is set behind electronically operated wrought iron gates in beautifully maintained and tended gardens of just under half an acre, with a sunny aspect and backing directly onto the Cabrera Trust Woodland Nature Reserve, a coveted and tranquil location. The house has white washed internal walls and wooden flooring giving it a lovely clean, spacious, Dutch feel. There is an amazing kitchen for rustling up a tasty Valentine’s dinner and a gorgeous feature fireplace to complete the romantic setting. If you’ve got that loving feeling and are in search of the perfect romantic home, contact the experts at Barton Wyatt on 01344 843 000 or visit www.bartonwyatt.co.uk. Hold on tight, 2016’s going to be a bumpy ride! “At the end of 2014, I predicted that the FTSE 100 would end 2015 at 7125. It is clear that my crystal ball needs a serious service. “The price crash in commodities and oil during 2015 has laid waste to my prediction, and therein lies the rub when it comes to predicting where the property markets may be headed – we just don’t know what might be round the corner. Despite worldwide woes, the UK property market has been hit over the last year by a staggering array of extra stamp duty taxes by our Government. Receipts are forecast to be down by nearly £1bn this year – mainly as a result of 10-12% lower transactional levels. The top end of the market (over £5m) is in the slaughterhouse with 12% stamp duty killing off the golden goose. So there are several issues to watch in 2016. Impact 2 – Interest rates The US have moved. We are likely to see our base rate shift up in Q3 or Q4. 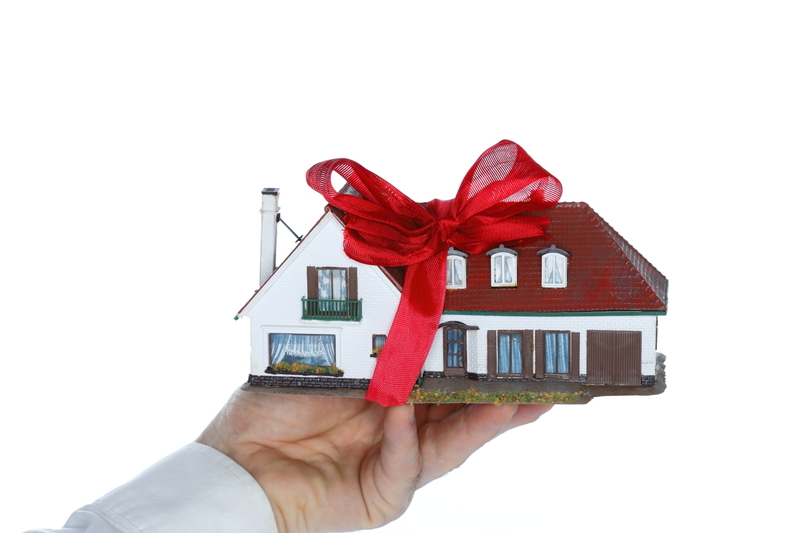 Despite its inevitability, the increase will spook just about everyone with mortgages. Impact 3- Brexit I sit on the wall about this but an exit would end the UK’s position as a grand world influencer. The £ and property would suffer. The good news is that 10% deposit mortgages are back and so 2016 will see a strong first time buyer market in most areas. Major towns and cities outside London may see prices increase by 10%. The Home Counties will be hard hit in the £2m+ market. Expect to see modest price increases of 2%. Over £5m prices will remain static as buyers factor in a 5% increase in stamp duty. London – will – probably be nursing a property hangover for all of 2016. This Georgianesque style house is a grand and spacious home close to the centre of Virginia Water. If your friends are coming from far afield then being close to the M25, M3 and M4 motorway networks plus Farnborough and Heathrow airports is a bonus. When your guests arrive, they will no doubt be impressed by the gentle slope of the long private approach to the house, bordered with pristine grass and Georgian style lanterns. This property has a visible ‘no expense spared’ finish. Invite your friends to sleep over in one of the six bedrooms – all with en-suite bathrooms for even the most discerning guest to prepare for the night’s festivities ahead. You are spoiled for entertaining space in The Ridge. The layout lends itself to contemporary living with an enormous kitchen/breakfast/sitting room and a more formal living and dining room plus a beautifully fitted study. Perhaps you can even watch the chimes of Big Ben on the big screen in the cinema room or if you’re feeling brave, heat up the outside pool and have a midnight swim under the stars whilst the champagne corks pop. You can be the proud owner of this glorious home for £8,750,000. This virtually brand new residence was completed in 2011 to an exceptional standard in this superb location. The property offers in excess of 11,000 square foot of luxury! This is THE house in which to have a pool party – you and your guests will be amused for hours in the sports and leisure area, with its large indoor swimming pool, Jacuzzi and sauna. The pool area is just off the kitchen so popping back to the fridge for a refill will be no problem at all. After a night of celebrating in the pool, Wellington House has ample reception rooms to dry out and toast the New Year. As the evening progresses your fellow partygoers can enjoy cocktails in the large drawing room and spread out into the dining and kitchen/breakfast rooms. Time for bed and the grand staircase leads up to seven en-suite bedrooms, so plenty of room for everyone to stay and let their hair down. Located on the prestigious Wentworth Estate you will be the envy of your golfing friends with the superb golf and leisure facilities on your doorstep. Wellington House is also situated close to the village of Virginia Water with its excellent array of boutique shops, varied restaurants and the mainline railway station. On the market at £7,450,000. There is no need to squash your helping hands into the house for your New Year party at Windsor House: the property comes complete with over-garage staff accommodation so your poised party professionals can be on site in their own fully fitted apartment. This is a very spacious home of 10,932 square feet complete with four large reception rooms, a massive kitchen/breakfast room for casual entertaining and an outside pool. Your guests will not know which room to fill when the clock strikes twelve! Putting your guests up for the night is not a problem at Windsor House; on the first floor there are five bedroom and bathroom suites, with two further bedrooms and two bathrooms on the second floor. This stunning brand new Wentworth mansion house is ready for immediate occupation and fully furnished if desired. It is set in a wonderful south facing acre plot in a highly desirable location within the Wentworth Estate, just a short walk from the picturesque village shops and mainline station, and approximately one mile from the world-renowned Wentworth Golf and Country Club. Situated in one of the most exclusive private roads in Virginia Water with beautiful landscaped gardens, you will be the envy of the New Year revelers for £6,950,000. If you are looking for a house to move into for Christmas that has already been decorated for you then look no further. Looking for a house to move into for Christmas that has already been decorated for you then look no further. This gorgeous Georgian style mansion sits in a quiet and tranquil private road in South Ascot. Six large bedrooms all with luxury bathrooms are already furnished and waiting for you and your house guests to party. The second floor boasts a cinema room for the latest Christmas block buster. A wonderfully large kitchen/breakfast/garden room and four further reception rooms will keep you and your guests fully entertained and give lots of space for eating, games and sleeping. The house also has a studio apartment for staff/au-pair over the triple garage, delightfully landscaped gardens of approximately 0.4 of an acre costs £3,750,000. If the above houses have got you in the mood for a party contact Barton Wyatt on 01344 843 000 or visit www.bartonwyatt.co.uk. 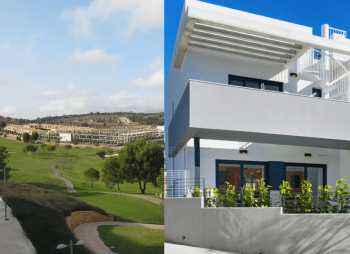 Their team of property professionals will be able to assist you with further information or help you find your perfect property to fit your every requirement. In Bill Bryon’s latest novel, The Road to Little Dribbling, one chapter details a wonderful period in Bryson’s life where he unexpectedly became an employee in a mental health institution. This comical account is set in Holloway Sanatorium, Virginia Water where the very wealthy, who suffered mental illness were able to reside in relative luxury in this secure NHS owned hospital. Holloway Sanatorium was built by Henry Crossland for ‘mentally afflicted persons’ in 1884 and still stands today. The patients are however long gone and today the estate known as Virginia Park is home to a mix of residents who enjoy living in a gated community. Bryson has very fond memories of the sanatorium, as it was while living there that he met his wife Cynthia. And although Holloway was full of long-term patients who were “quite mad,” he loved the quintessential Englishness of the place. It was in the 1980s that Holloway Sanatorium closed its doors to patients. The grand estate then lay fallow for many years. Thieves took advantage of the disrepair by stealing parts of the roof with the house decaying over time and becoming dangerous. Then, quite by chance during a family holiday in America, local Virginia Water Resident and Estate Agent Hugh Wyatt spotted a gated community, which had been developed with high class homes, 24 hour security and residents leisure facilities. Hugh decided to take this concept back to England to see if he could create a similar development in his home village. Wyatt’s visionary concept took a great deal of time and effort to develop but it was worth the wait. 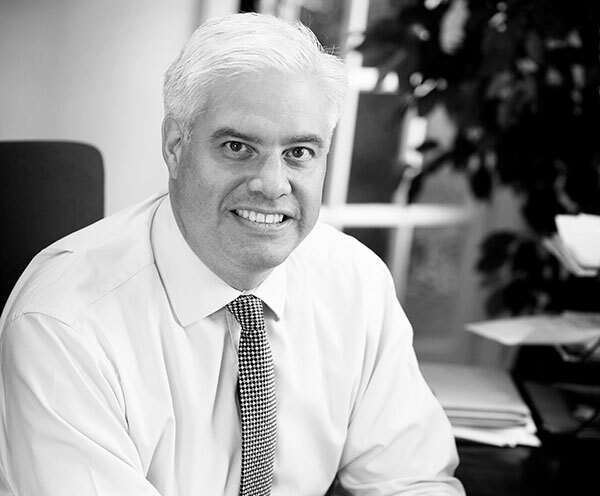 Working in conjunction with his brother, who owned high end homebuilder Octagon Developments and a local financier, Wyatt was responsible for the first ever UK development where a large Victorian hospital was just part of the plan. This ground breaking idea has become known as “enabling development”. The only way to make the development viable was to build new houses on the estate which would help cover the cost of restoring the wonderful grade I listed building. As this was the brain child of Hugh Wyatt, his award winning estate agency, Barton Wyatt, were the selling agents on the estate. Their figures reveal that the real cost of creating each of the homes within the listed building was over £1,000,000 however the houses were sold in 1995 for an affordable £500,000. Today they meet their true value being priced at £1,000,000 – £2,000,000. In contrast the new build homes within the grounds of Virginia Park were originally sold for £325,000 and are now worth around £1,100,000. Some of the owners who bought these homes some 20 years ago are still there today. In this beautiful environment set within 25 acres and with 24-hour gated security, Virginia Park is a fabulous place to live. Bill Bryson certainly never mentioned ghosts in his tales of Virginia Water. He fell in love, got married and bought a house in the area, staying for 12 happy years whilst he was a journalist at The Times. For more details contact Barton Wyatt on 01344 843 000 or visit www.bartonwyatt.co.uk. 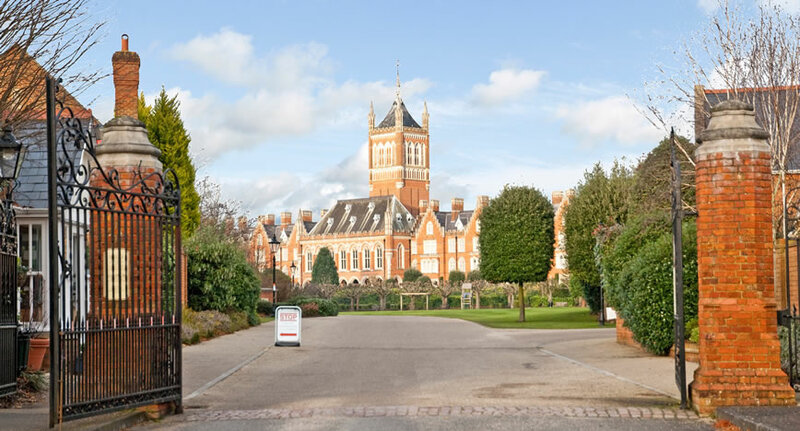 A two bedroom apartment situated in Virginia Park which is a prestigious private gated estate built around the former Holloway Sanatorium, a magnificent Gothic building, now Grade I listed, in the heart of Virginia Water. The walled estate boasts 24 hour manned security, extensive leisure facilities including a fantastic indoor swimming pool with Jacuzzi and sauna, well equipped gym and tennis court. Within easy walking distance of Virginia Water Village Centre with its excellent shops for day to day needs, restaurants and mainline railway station with fast service of trains to Waterloo in 42 minutes. Reception hall, Sitting room, Kitchen/breakfast room, Master bedroom with luxury en-suite bathroom, Guest bedroom with en-suite bathroom, Bedroom three/study, Family shower room, Secure underground parking for three cars, Secure underground storage unit, 24 Hour security, Leisure facilities. The 24 acres of Virginia Park are superbly landscaped and maintained and offer tree lined lanes and walkways with a very large green to the front of the development. In the underground car park the apartment has 3 allocated parking spaces and a useful secure storage cupboard for suitcases/bicycles etc. A magnificent townhouse in this architecturally important Grade I listed building restored in 1996 by the renowned Octagon Developments, now offering a home with exceptional quality and character overlooking a Green. Leisure facilities to include swimming pool, jacuzzi, gym, tennis court and sports hall. It is no longer uncommon to be a millionaire. 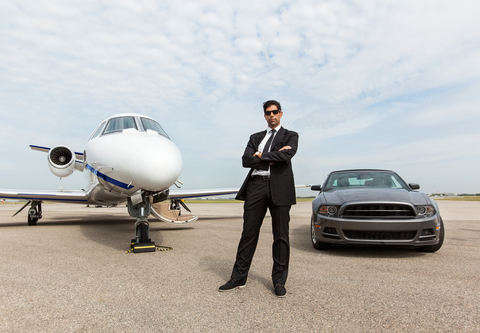 Barclays Wealth conducted a survey that suggests there are 715,000 millionaires in the UK – one in every 65 adults. They predict that in another ten years there will be almost 800,000 millionaires living on these shores. In 2010, last time Barclays Wealth carried out their study, there were 40% fewer millionaires. The report surmised that booming house prices, bonus payments and good returns in equity markets had all had a hand to play in the rise. Needless to say the economic powerhouse remains as London and the South East but areas outside of this have boomed too – nearly half of the ‘new’ millionaires created since 2010 live outside the southern money bubble. The first village in the UK to have an average house price of over a million in June 2013 was Virginia Water according to Zoopla at the time, when the average house price scraped over £1,00,000. Today that has not changed significantly – Zoopla figures state £1,122,082 is the average price paid for a property in the area, representing a 5.5% increase over the past year. Local estate agency Barton Wyatt has been in Virginia Water for 50 years and the Wyatt brothers who run this exclusive agency are no strangers to millionaires. Indeed, the average house price sale for Barton Wyatt in the past year sits at an eye watering £2,879,032. “It has been fascinating watching Virginia Water – which encompasses the elite Wentworth – over the past 50 years. House prices have always been high here. The area has attracted kings, queens, celebrities and superstars over the years, which has in itself encouraged the inflow of further wealthy families. And why is Virginia Water and Wentworth a top spot for the jetset looking for a peaceful home in the UK? Covenants – the covenants in Wentworth have restricted owners and developers alike from taking down houses and in-filling with lots of homes. One plot has to remain one plot and this has secured exclusivity and driven the prices up. Golf – the Wentworth Club has attracted top golfers for decades. Since its inception in the 1920’s Wentworth has been famed for its interesting fairways discreetly lined with large homes, which are tucked behind deep foliage. Golfers peer at the homes and owners often have good views of the course from raised vantage points. The PGA tournament – this has kept Virginia Water and Wentworth in the limelight. Wonderful TV footage of lush greens, huge conifers and enormous houses with top flight golfers vying for the number one spot has assured fame for the area. The Wentworth Club – is far from all about golf. 13 tennis courts feature a combination of surfaces for optimum seasonal playing conditions including: all weather, artificial clay and acrylic – nine of which are also floodlit. A fabulous multi gym, indoor pool and very large outside pool all add to the mix. Whether you want swimming lessons for the children, a personal trainer or just to make new friends the Wentworth Club is likely to be on the agenda for any family living nearby. Polo – There is something extremely classy about hanging out with people who do or know about Polo. They are generally extremely rich and/or very beautiful – all of which goes down very well in VW. Guards Polo is now the largest polo club in Europe and sits within Windsor Great Park . The Club is set in the outstanding natural surroundings of Smith’s Lawn, which is thought to have been named after a game keeper at the time of the Restoration in the 17th century and is just a short walk from the lake at Virginia Water. Virginia Water Lake – the lake was first dammed and flooded in 1753. Until the creation of the great reservoirs, it was the largest man-made body of water in the British Isles. This is a beautiful spot and wonderful to have on the doorstep. The circuit around the lake is about 4.5 miles, half paved and the other half a “natural” path, which provides easy walking conditions even with a pram or pushchair. Getting to London – easily achieved in under an hour. Trains run regularly to Waterloo and you could be at your desk in little over an hour – or of course shopping at Selfridges or Harrods. Transport Links – Heathrow airport is just 10 minutes away – essential for most residents who have homes and businesses in other parts of the world. Virginia Water sits close to the M3, M25 and M4, so getting around the UK is easy too. Schools – Some of the UK’s finest public schools are within easy reach of Virginia Water: Eton, Wellington and St Georges are popular. For international students there is a choice of two international schools tutoring the International Baccalaureate alongside the British education system. People like us – Virginia Water/Wentworth is a wealthy village – it attracts wealthy people and you know your neighbours’ children will go to the same schools, go to pony camp together and eventually as they grow – date each other. Your neighbours will have nice cars, well-kept homes and gardens and have similar values to yours. You will meet at drinks parties, go to restaurants and bump into them in the village. They will be like you and this is why they live here – because they are People like us. Magnificent master bedroom suite with his and hers dressing rooms and bath/shower rooms, five further bedroom and bath/shower room suites, drawing room, dining room, study, family room, garden room, kitchen/breakfast room, utility, three ground floor cloakrooms, gymnasium/staff accommodation over a triple garage, outdoor swimming pool, south facing gardens amounting to approximately one acre in all. A stunning brand new Wentworth mansion house ready for immediate occupation and fully furnished if desired. Set in a wonderful south facing one acre plot in a highly desirable location within the Wentworth Estate, just a short walk from the picturesque village shops and mainline station, and approximately one mile from the world renowned Wentworth Golf and Country Club. This virtually brand new residence was completed in 2011 to an exceptional style and quality in this superb location. The property offers in excess of 11,000 square foot of luxury! The specification is of the highest order using individual and hand built craftsmanship. There is a superb entrance way which leads to a dining hall with casement doors onto the garden. The principle rooms lead off the main hall and there is a grand staircase to the first floor. Approached off the hall is the cloakroom, study, drawing room and magnificent kitchen/breakfast room which measures 45ft x 27ft. This room is equipped with a comprehensive bespoke range of hand painted wall and floor Shaker style cupboards with stone work surfaces and a good range of appliances including Wolf cooker, sub-zero American style fridge freezer etc. For leisure there is a superb indoor pool, and sauna. There is an annexe kitchen with a comprehensive range of cupboards and work surfaces for entertaining on a grand scale. The bathroom en-suites and cloakrooms all have Villeroy and Bosch sanitary ware. On the first floor, there are four bedroom suites, the master bedroom suite is truly sumptuous with a sitting room, dressing area and en-suite bathroom. There is also access to the balcony overlooking the beautiful south facing grounds. On the second floor, there are two further bedrooms, both en-suite and a large storeroom. The property is in private and well screened grounds of approximately one acre with a southerly aspect and this view is enjoyed from the principal rooms of the house. French doors on the ground floor lead out onto a sizeable sun terrace which stretches the width of the property and provides excellent space for al fresco dining. The main part of the garden is made up of a well maintained area of lawn surrounded by a wealth of mature shrubs and beds. To the front of the property there are wrought iron electric gates with brick piers opening onto the large driveway which leads to the triple garage with staff flat above. There is ample parking for vehicles. Luxury Surrey estate agency Barton Wyatt is frequently ahead of the technology game – Partner brothers James and Rupert Wyatt were the first Surrey NAEA members to have an Apple and Android app, the first local agent to outsource telephone answering in busy periods and the first to utilize video books as 21st century property particulars. 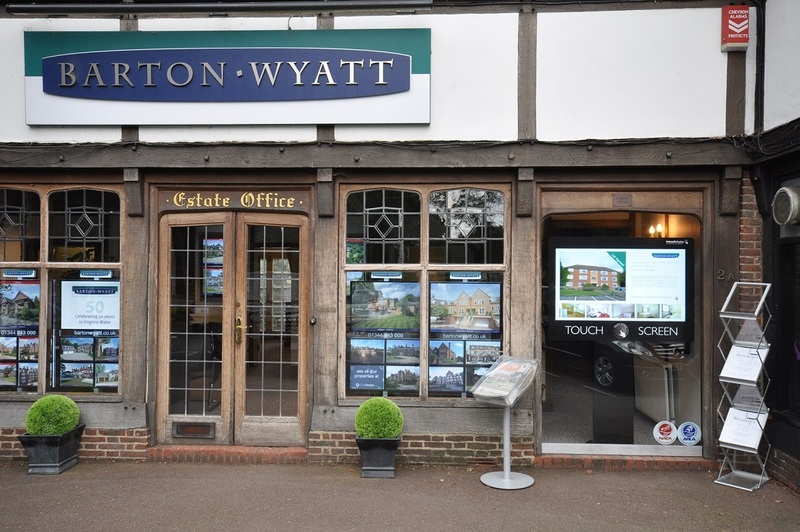 Now Barton Wyatt have taken their love of new technology to the next level by installing an ‘intelligent’ window in their High Street office display. This incredible, 60-inch touch screen is embedded into the office window and acts exactly like an enormous tablet. Passers-by are able to search for new homes to buy and rent, registering their details 24 hours a day, 7 days a week. The quintessentially English village of Virginia Water, which could be considered a sleepy hollow by some, has been highly entertained by the equipment. “I’ve always loved ingenious devices and this is definitely a brilliant new tool for selling homes and connecting with our clients. 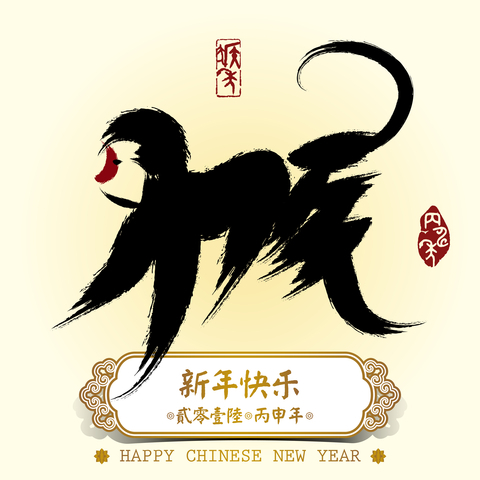 The touch screen is high resolution, the screen can even be seen in bright sunlight and it’s incredibly easy to use. Prospective buyers who arrive home from work in London can browse our stock, tell us they want a valuation or just ask us to give them a call even when the office is closed. So if you’re passing by Barton Wyatt’s window on Virginia Water High Street, why not give it a try?